Here at Pure & Clean, we understand just how important it is to maintain your commercial property’s professional appearance. Graffiti is classed as an act of vandalism that often features offensive and abusive imagery and words. It is also unsightly to look at and is guaranteed to have a negative impact on your business and the surrounding area. For this reason, we provide the best graffiti removal services in Christchurch and beyond. Graffiti is incredibly difficult and time-consuming to remove through conventional methods. By choosing the most efficient graffiti cleaning Bournemouth has to offer, you can expect the quick removal of all graffiti from your premises. This is especially helpful as it helps to deter would-be vandals who will likely look for a location where their graffiti won’t be removed as fast. Remember, under the Anti-Social Behaviour Act 2003; it is your responsibility to ensure that all graffiti is removed from any surface that you are directly responsible for. 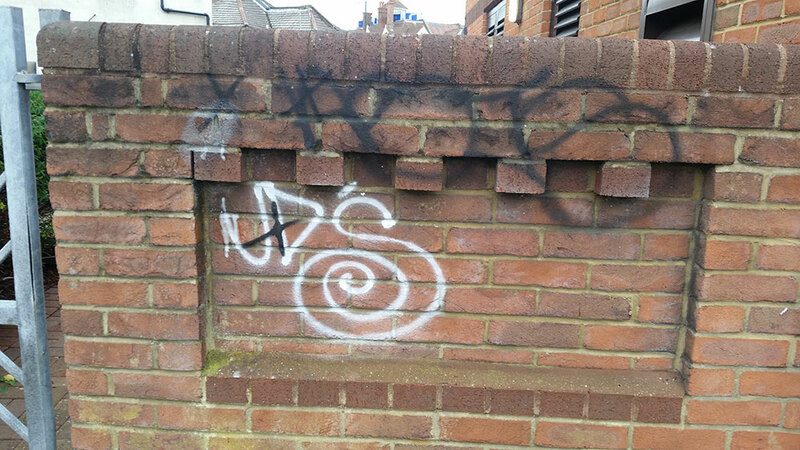 To learn more about our graffiti removal services in Christchurch, Bournemouth and beyond, continue reading below. If you’re tired of seeing somebody else’s idea of ‘art’, then pick up the phone and arrange a site visit from our team. We’ll pop round at a time that is convenient for you in order to assess which surfaces have been targeted and the extent of the work involved. Afterwards, you will be provided with a fully itemised quotation that is competitive and entails no hidden charges. 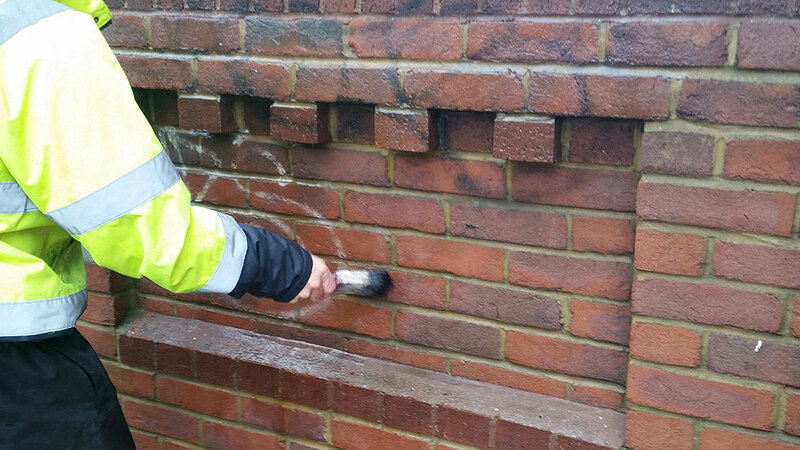 Once you have agreed to our fee, our graffiti cleaning service in Bournemouth will begin. From paint and chalk to adhesive labels and posters, we have the means necessary to safely remove all kinds of graffiti quickly and efficiently. Our team has access to high-pressure jet washers which are designed to strip away the surface paint and clean the underlying surface. Special paint removers can be used to tackle surfaces that might not be suitable for jet washing. We can also apply anti-graffiti coatings that are designed to make future cleaning both quicker and easier. If you require repeat visits, we can set up a schedule that fits both your needs and budget or we can provide one-off cleaning services if preferred. Our highly-trained team are well versed in the latest health and safety techniques. 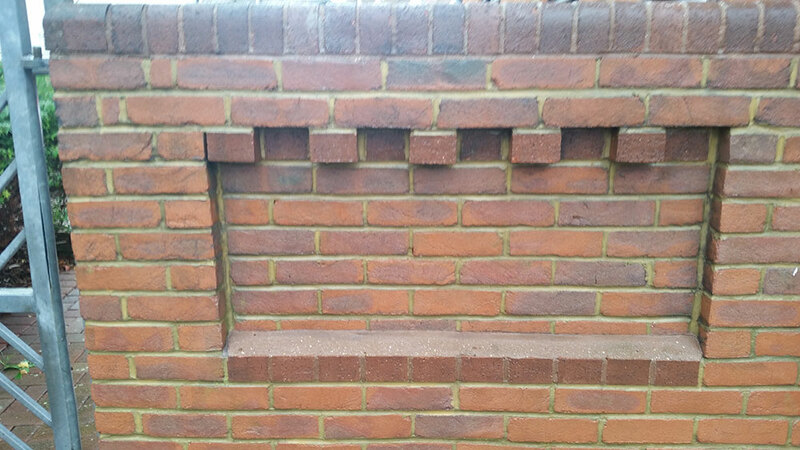 All jet washing is carried out with full personal protective equipment. Plus, we possess full public liability insurance making us the perfect choice for graffiti cleaning Bournemouth and Christchurch businesses can rely on. Why choose our graffiti removal services in Christchurch? The presence of graffiti will have an immediate impact on any business by helping to create the wrong image. For instance, the presence of graffiti in an area with schools and public places creates the image of unchecked crime. This makes people feel less safe, lowers property prices and promotes the idea that graffiti will be tolerated. Graffiti will serve to deter visitors and potential customers, so it’s important that you don’t put off calling us a second longer. Request a FREE no-obligation quote for your graffiti cleaning service in Bournemouth and Christchurch by calling Pure & Clean today on 01202 567891.